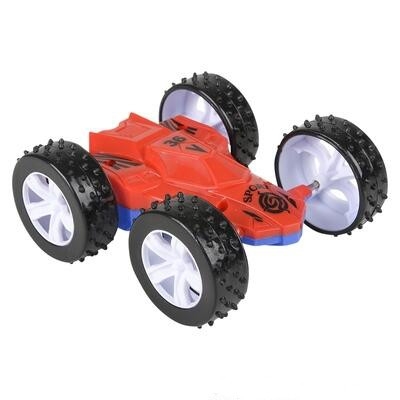 Friction cars are awesome: Reve them up or just give them a push and the internal gearing makes them go further than you would expect from such a push. But the flip car takes it a step further with its big knobby tires and two-sided body. 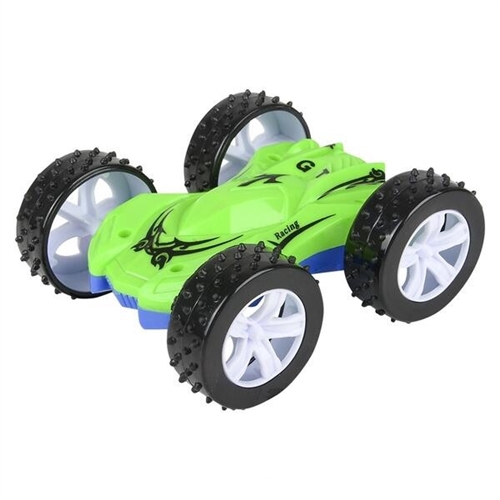 It drives over obstacles, flips over and just keeps on going. 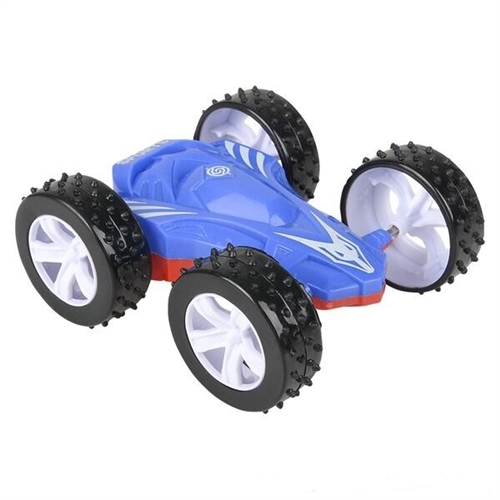 4-1/2" racer features a two-sided design and all terrain wheels.